What’s the idea behind SHARE (Supporting Homeless and Refugees everywhere) and how will it differ from other charity shops? Half of the shop will be a suspended coffee shop, so as well as being able to buy a coffee for yourself, you’ll also be able to buy a hot drink for someone local who is less fortunate therefore allowing you to ‘pay it forward’, by purchasing a coffee which is ‘suspended’ until someone who can’t afford a coffee comes in, if as maybe the case the suspended coffee isn’t redeemed, then we will deliver aid purchased with this money to the homeless shelter in Chester at the end of each month/week. The other half will be a vintage charity shop where we will also have a thank you wall where we can write thank you to any one who helps us as a local charity. We are a group of residents from Chester and N.Wales who want to help as many people as we can and we understand that in order to do that we need the funds generated in as many Share Shops as possible and as Chester will be our very first, the volunteers and customers to the store in Chester will be part of something potentially very rewarding to the community if we get the model right and roll it out nationwide. Chester will be where it all started! You’re well-known for supporting charities for refugees, the food bank etc, what motivates you to try to make a difference ? After we carried a tonne of soil around the city to ‘move the earth for them’, them being the survivors of the Boxing Day Tsunami (2004).. raising over £6000 it made me realise that by helping and giving something back locally and nationally, it was not only a great way to pay back something to the community that had supported and bought from my family’s business, Dandy’s Topsoil for all those years, but it also felt like the right thing to be doing. We went on to send free soils, gravels, bark etc to lots of other groups and donate money to charities, but it wasn’t really until we did a garden makeover for Anya Bentham and her family, who at the time were trying to raise enough money to give her the best chance of fighting neuroblastoma, that we really had a chance to do something special for someone locally. Her face smiling and laughing whilst playing in the garden once it was completed, yet knowing that she was very ill, will stay with me forever. After that, we decided we would do as much as we could to help other local people or groups, so we replaced all the bark on the play area of a school after it was stolen, we turned part of our office into a collection point for food for the Flintshire food bank and agreed to swap food for our products, we sent cash to another community group over in Garden City to replace their park benches which had been smashed up by vandals, we also agreed to sponsor local kids football teams every season. When we saw that little lifeless body on the beach in Greece of Alyan Kurdi we never really imagined that we would ever be able to do enough to even help a few in any real way, nevertheless, we decided to use an empty shipping container at Dandy’s to collect aid in from our customers and the local community in Chester and North Wales. It was full within three days! We got to the point that our office on Sealand Rd was so rammed full of toiletries, tents, food, clothes etc that we couldn’t move and it was at that stage we sat down with Aaron Shotton and Bernie Attridge the Leaders of Flintshire CC. They offered us a huge unit in Flint where we could join forces with other groups in North Wales who were collecting and combine our efforts to raise enough money to send all the collected and sorted aid to the thousands of refugees landing every day on the Greek Islands. Soon after, my co-founder Louise Edwards came up with the name ‘Share’ which stands for Supporting Homeless Assisting Refugees Everywhere. Over the past four weeks we have sent out over 400 boxes of much-needed aid, collected from the people of Cheshire & North Wales and sent to the desperate refugees in Leros, Kos and Lesvos. 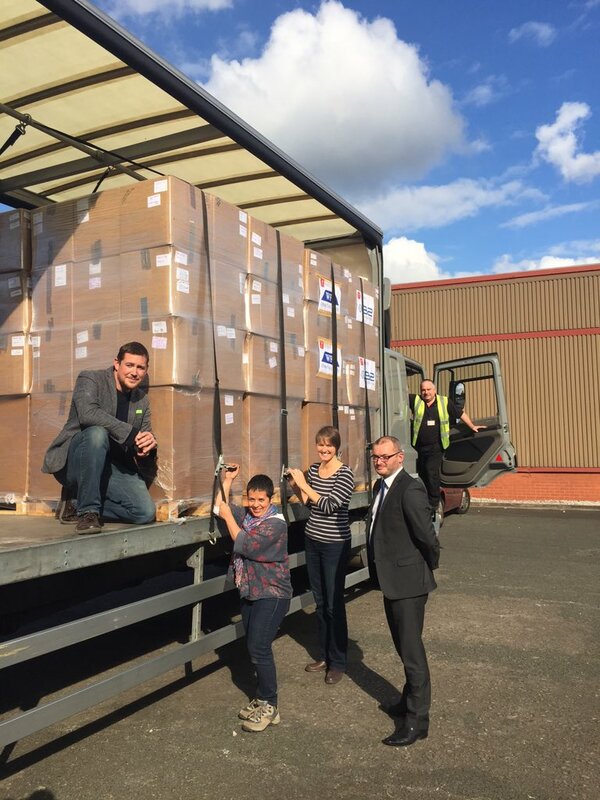 We’ve also sent 3 vans full of aid to the jungle camp in Calais. But we need to send more, much more! The Share Aid Centre in Flint is packed full of aid that’s why we’re about to set up a Share Shop in Chester, but we need help from other local businesses to sponsor an Aid Pallet each, which costs £310 to send and it will provide enough aid for over one hundred refugees! One thing that we didn’t want to do was to just sent aid abroad, we’ve got so many people right here in the North West and North Wales who are homeless and without food and warmth, so we helped out DIY SOS as much as we could with their Veterans Village and made sure that part of our work at Share is devoted to helping the homeless right here at home. What help do you need with the project? Specifically we need shoes, tied together, stuffed with socks with the EU size clearly marked on them, we need warm clothes for teenagers, camping ground mats, tents and most importantly sleeping bags. We also need volunteers in Flint and in Chester at the Share Shop, we also need local companies to sponsor an aid pallet each and finally we need people to help us spread the word. 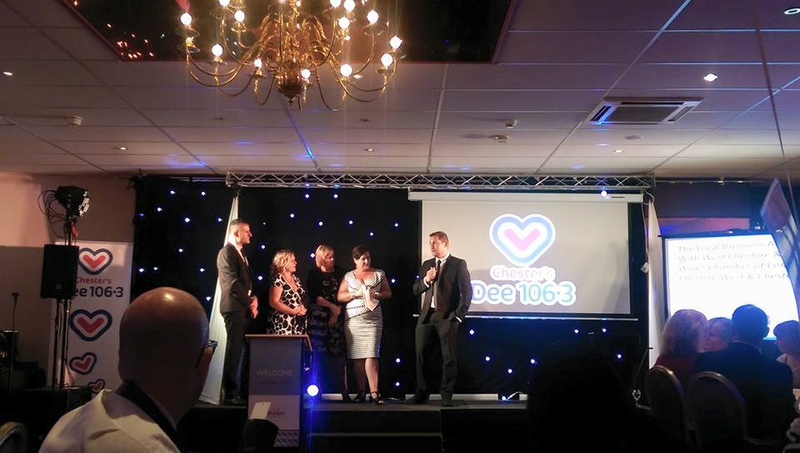 How did it feel to be up on stage at the Dee 106.3 local hero awards? Emotional, I talked about somethings on that stage that I’ve never talked to anyone about before in my life, it meant a lot to me to even be in the same room as some of those people up there, let alone to come home with an award, I was truly humbled and it gave me the motivation to really try to get stuck in like some of those people did the next time anything came along. 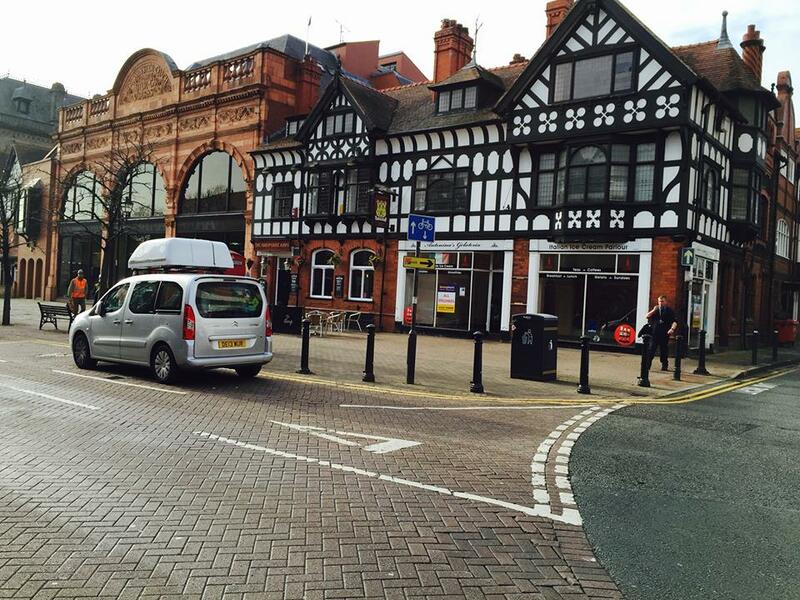 What do you think about the level of homeless provision in Chester? I am currently on a steep learning curve when it comes to the provision of services for homeless people in Chester, so it would be wrong for me to comment on the specific provisions just yet. But I would say that when there are so many abandoned houses and empty flats up and down the country there should be no reason for anyone to sleep out at night, especially not if that person is someone who has fought for his or her country. We owe it to those people to follow the example set by Nick Knowles and the team from DIY SOS and bring communities and businesses together to refurbish derelict properties back into homes and provide them with the ongoing support that they need. I would so love to help as my partner was previously made homeless till he went back to rehab. I hope you get in touch with the charity soon, Emma – they would love to be able to make use of your time!